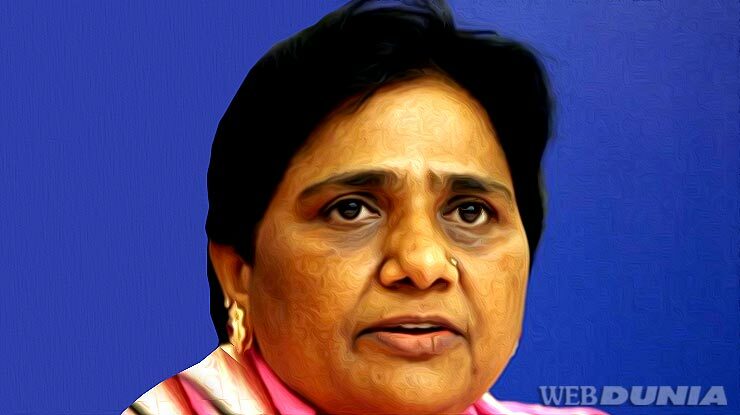 New Delhi: With the polls results in Madhya Pradesh proving to be a nail-biter, Mayawati’s Bahujan Samaj Party (BSP) has emerged as a possible kingmaker in the state falling in the Hindi heartland. As the situation stands, the BJP and the Congress are in a neck-and-neck fight in Madhya Pradesh as trends in all 230 Assembly seats show the opposition party having a slight edge over the ruling faction. As per the latest trends for counting, the Congress is ahead in 115 seats while the BJP is ahead in 105 seats in the 130 member state assembly. As the results throw up a possibility of a hung assembly, BSP could emerge as kingmaker. With the possibility of BSP offering support to BJP being ruled out, there are strong chances of the BSP giving outside support to the Congress in the event of a hung assembly, political observers here said. Although a miffed Ms Mayawati has spurned the opportunity of a pre-poll arrangement, the Congress is now hoping to stitch a post-poll alliance with the BSP. After the BSP chief rebuffed the Congress over the prickly issue of seat sharing, the Congress will have its task cut out to win over Ms Mayawati and enter into government formation exercise. Ms Mayawati has reportedly summoned the victorious MLAs to the national capital for a meeting.